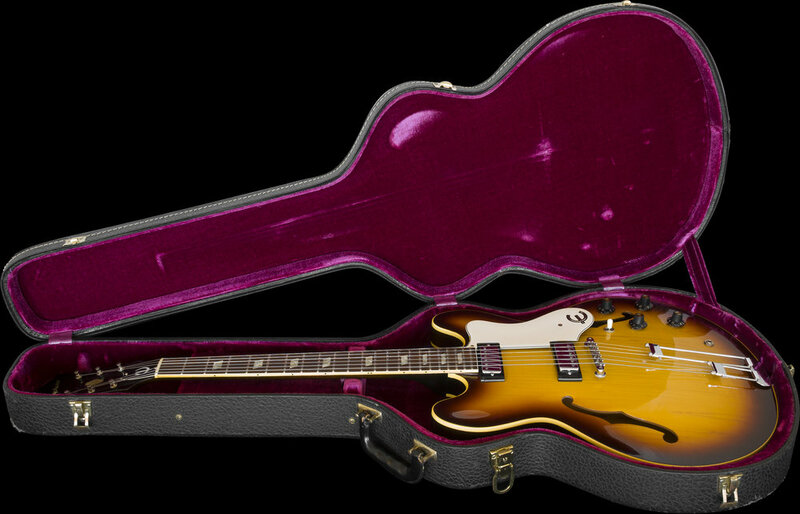 The E-360TD Riviera model was Introduced in 1962, shortly after CMI, (the parent company of Gibson) acquired the Epiphone brand, which occurred in 1957. 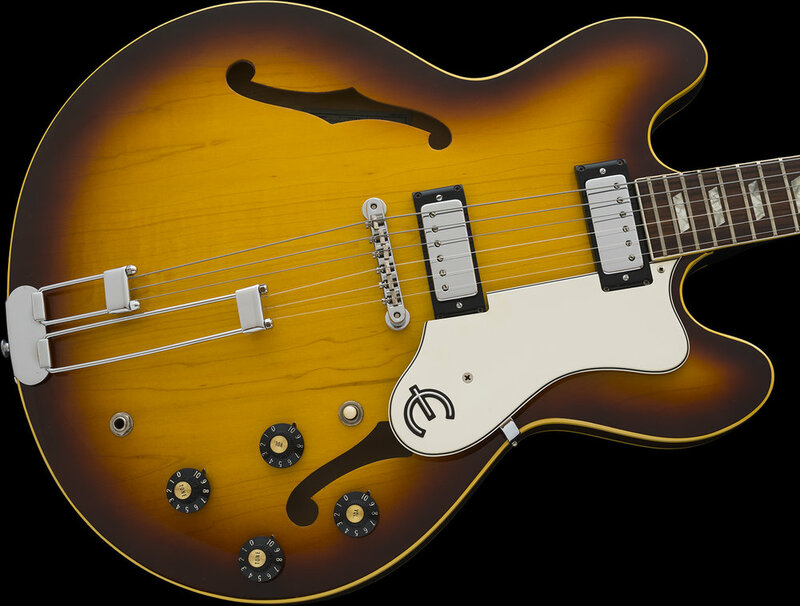 The Epiphone line of instruments commonly share similarities with many of their Gibson branded brethren, but there are also differences between the similar models that offer buyers fun choices too. 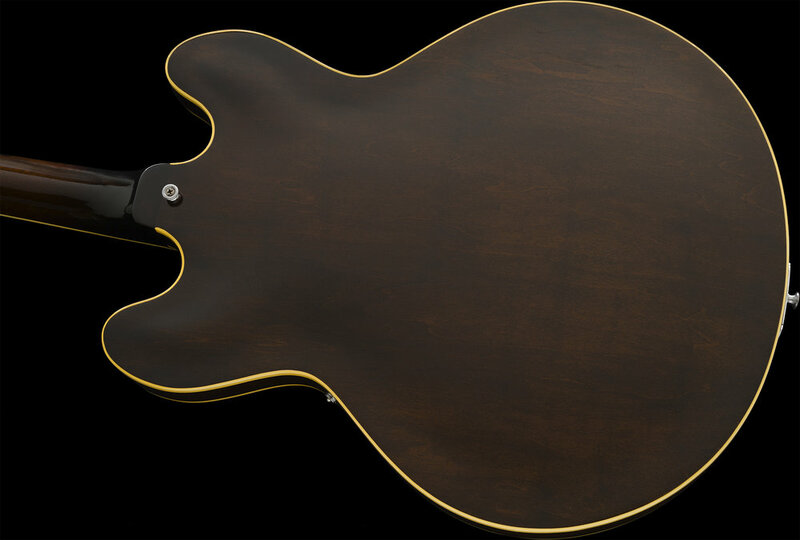 In a "general" sense, this is the Epiphone branded version of a Gibson ES-335. These were fitted with the Small Humbucking pickups but both share a Semi-Hollow, Maple body construction, and Rosewood fingerboards. As it turns out, my own research has revealed that the Riviera guitars are fairly RARE. There were just 288 Riviera's shipped in both Sunburst and Cherry Red in 1968, conversely, Gibson shipped 3,760 ES-335 models in both Sunburst and Cherry Red during the same production year! I have examined, tested, serviced and set-up this instrument and found it to be factory-correct and unmolested in every way. All of the electronics, frets, nut, tuners, finish and both the plastic and chrome-plated metal hardware are all correct and original to the guitar. Remarkably, the instrument has not finish-checked and has only minimal signs of human contact. Globally, there are minor signs of usage that include surface marks, light scratches and a few minor dings, but it has been sparingly used and well cared for as the glossy finish shows. 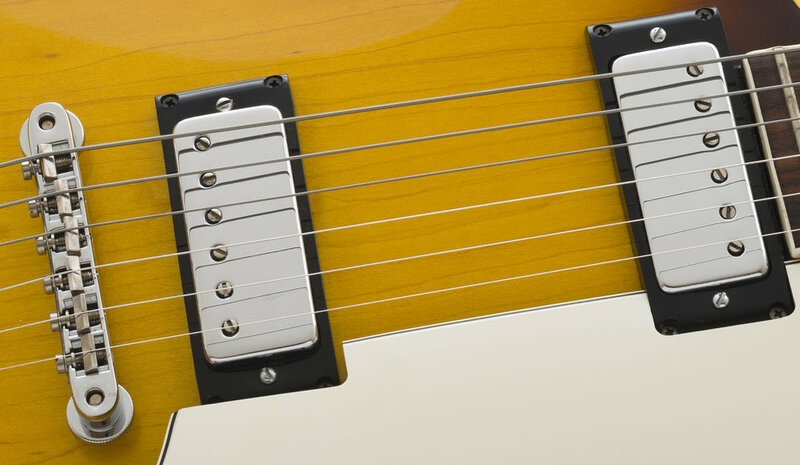 The chrome-plated hardware is clean and the guitar is attractive in every way! This is a VERY low mileage guitar. The only disclosure to report is the replacement of the lost "E" pickguard emblem. The Blue Label inside the guitar has been partially damaged and my photo shows that. 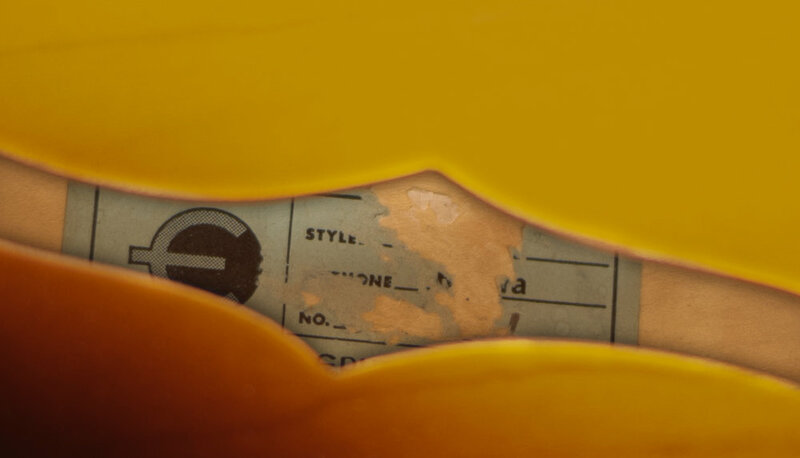 I believe that the guitar may have gotten a Vendor or Music Store's sticker affixed to it that was later removed and subsequently, it tore some of the Original label when the sticker was peeled off and I have occasionally seen those in other guitars too. The serial number is metal-pressed onto the back of the headstock and is perfect and untouched. 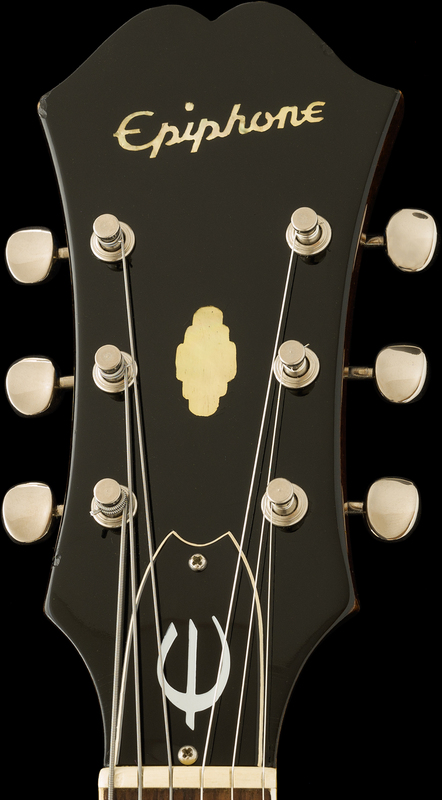 The Neck has a comfortable and round profile shape with a 1 9.5/16" nut width, just under 1 5/8" and it plays very well. The CASE it came to me in is a 1971 era "Gibson" Plush-Lined hardshell and it is in excellent, matching condition with a fully functioning handle, latches, and hinges. The guitar has just been set up with D'addario XL 10-46 gauge strings. A gorgeous example of a Riviera guitar with an unfaded and glossy Sunburst finish. I acquired this beautiful guitar 25 years ago for my Epiphone collection. This one has since been uncirculated and resting quietly in my personal collection. The guitar is now 50 years old and been spared all of the "circulation" that most vintage instruments being offered online today have undergone. The guitar is very crisp and clean and has not had any repairs or modifications, it is 100% Factory-Original and remains in beautiful, well-preserved collector condition. If you might be interested in acquiring an example if this caliber, please Inquire.